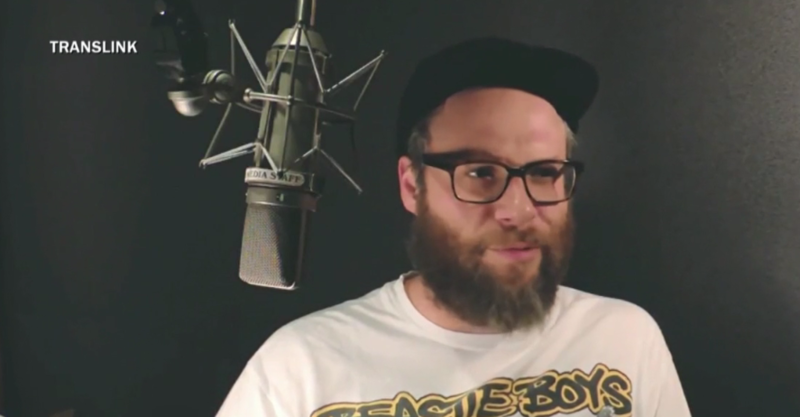 In case you missed it, Vancouver-born actor, voice actor, comedian, writer, producer, and director, Seth Rogen, is the new voice of Vancouver's public transportation system - TransLink. These announcements will encompass transit etiquette, tidbits about Vancouver, and his relationship to the region. This got us thinking, who would make the best voice of SEPTA? You can currently hear Phillies phenom Rhys Hoskins reminding you to "play it safe and watch your step" thanks to a new partnership. And a few years ago ex-Eagle Connor Barwin reminded riders to recycle. Which leads us to this month's question... Who do you think would be the best voice for SEPTA? Will Smith? Kevin Hart? Jill Scott? Sly Stallone? Pink? The Ben Franklin impersonator? You? Enter your top choice below (one entry per email address please). The top 11 most thoughtful entries will be selected for prizes. The Grand Prize is a September Anywhere TrailPass. Ten runner-ups will receive a SEPTA t-shirt. And who knows - maybe we can convince a Philly-born celebrity to become the voice of SEPTA! Contest ends 8/26. 2. Promotion period runs until 11:59 PM ET, 8/26/18. 10. Winning entries will be selected by SEPTA's Marketing Department. The top eleven (11) qualified, thoughtful responses will be be selected for prizes. Grand prize is a September Anywhere TrailPass. All determinations by SEPTA are final.